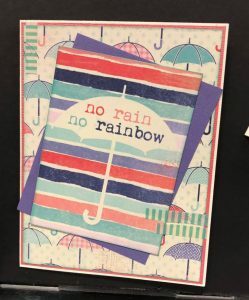 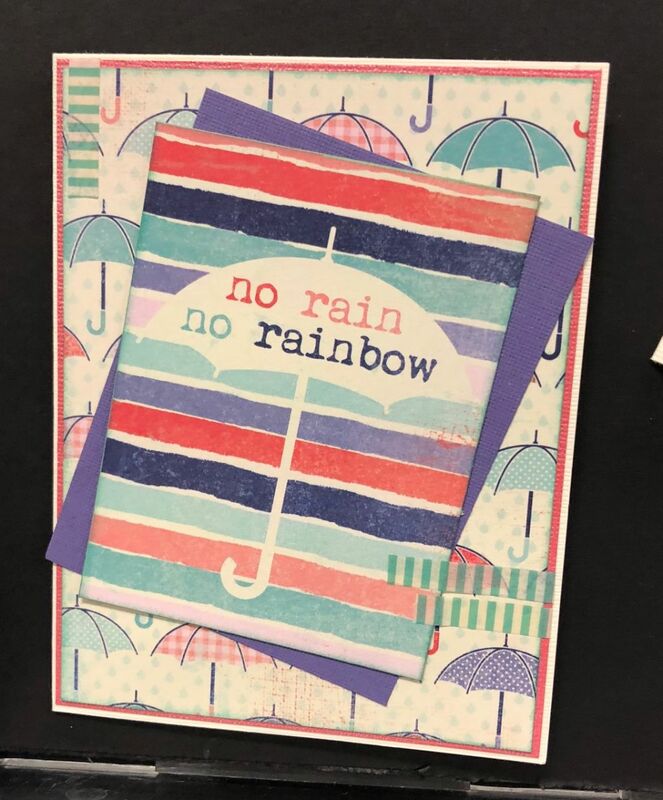 May’s Cardmaking Classes at Runaway — Lots to choose from! 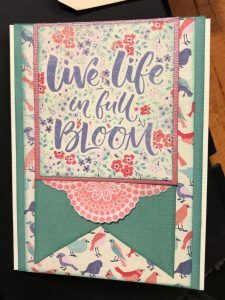 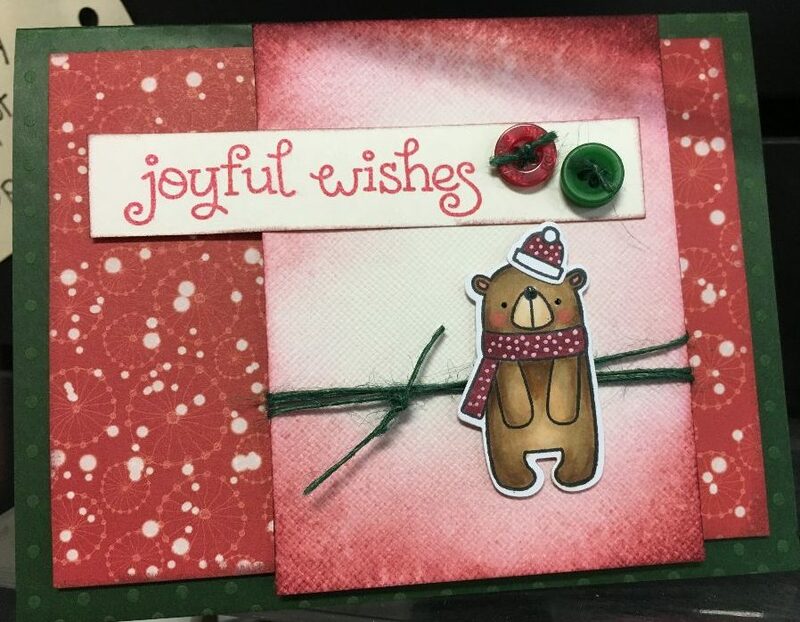 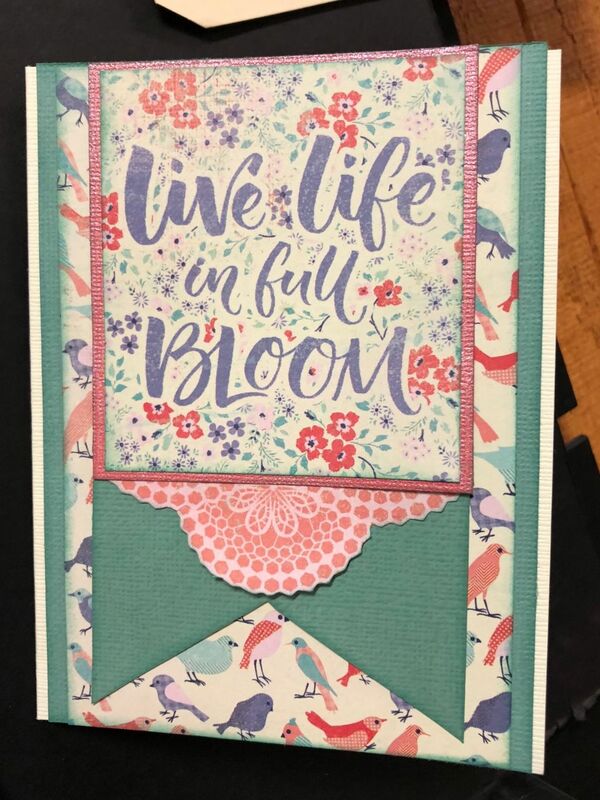 Your cardmaking class choices at Runaway begin the first weekend of May and run right through the last day of the month! 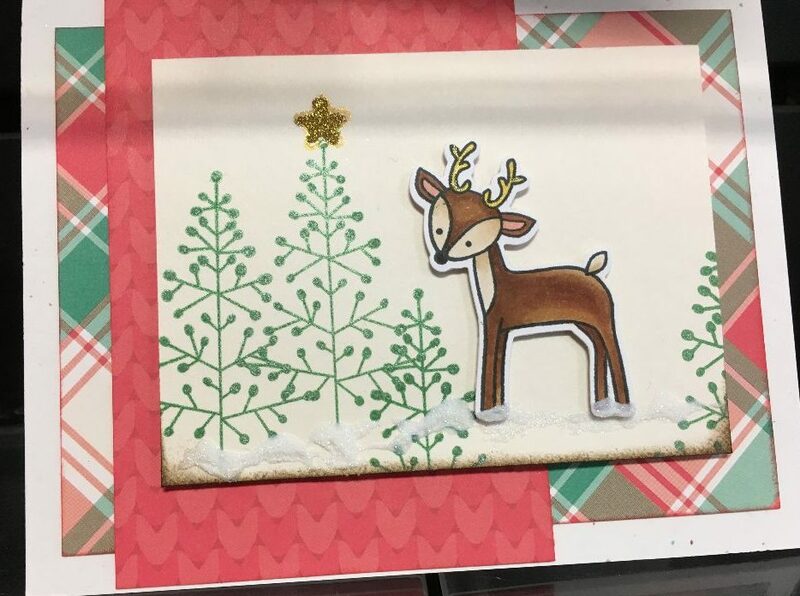 Take any or all of these classes for just $25 each. 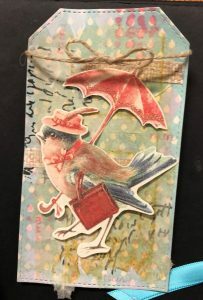 Just sign up by calling Runaway at 503-881-6270 or by e-mail at Christy@RunawayArt.com. 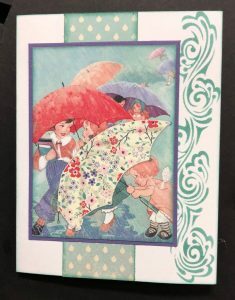 First off is Authentique® Spring Cards with Yvonne on Saturday, May 5 from 2 to 5. 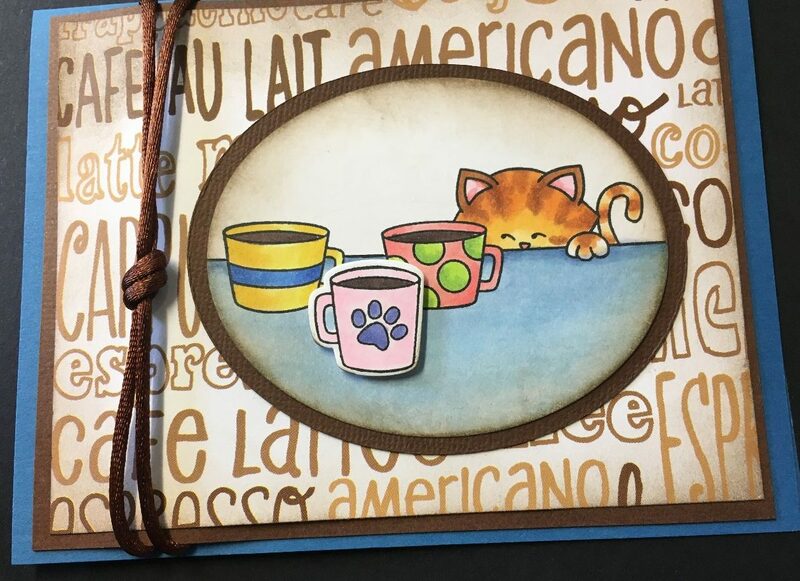 Yvonne will teach you how to use wonderful Authentique® combinations of paper to get beautiful effects ($25). 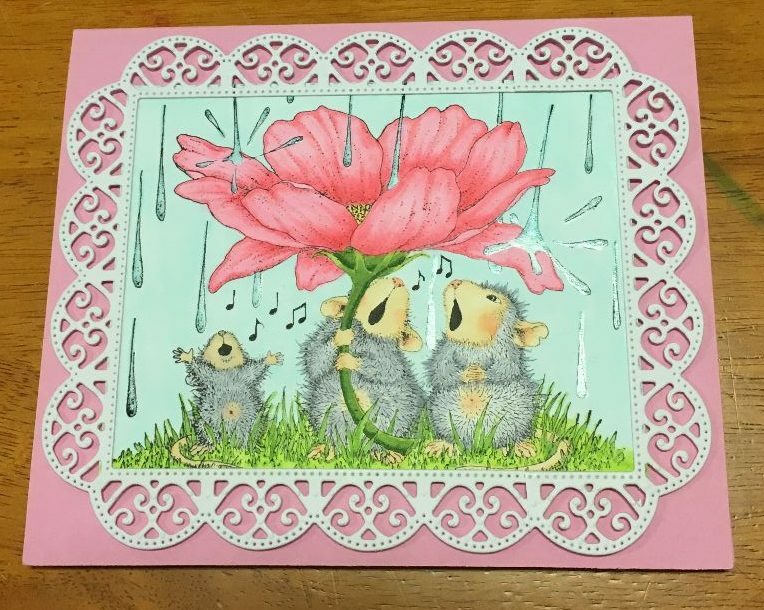 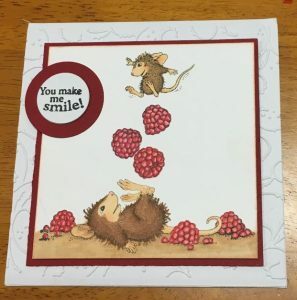 On Sunday, May 13, from 1 to 4 Teresa Case has a set of House Mouse® cards for you to create — and to color, using the best Copic® blending techniques ($25). 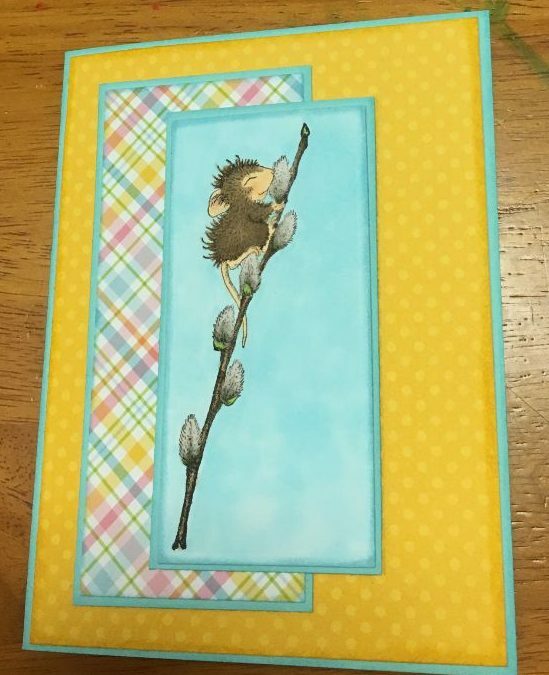 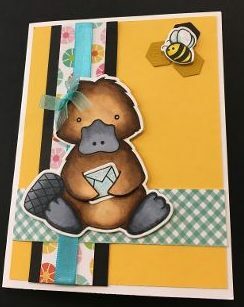 Next up is Honeybee® Cards with Christy, on Saturday, May 19 from 5 to 8. 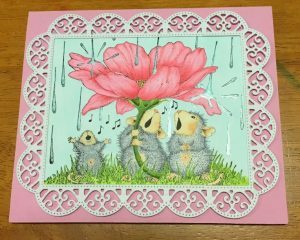 Christy will help you learn to make several fun cards, including this one, featuring their wonderful Platypus stamp ($25). And the month closes on Thursday, May 31 from 6 to 8:30 with Christy Wood teaching It’s Always Christmas at Runaway! 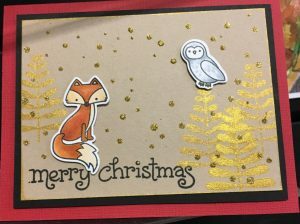 — Christmas Critters. 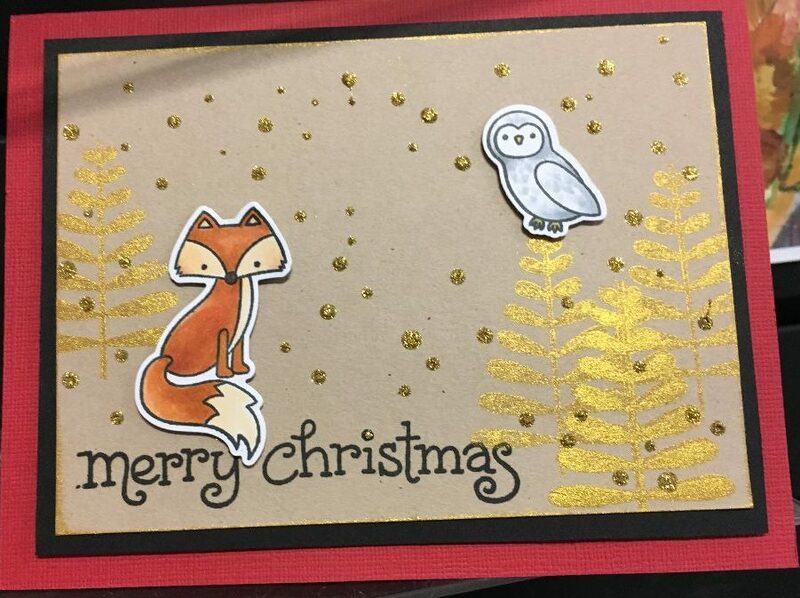 This month’s cards feature My Favorite Things® woodland creatures stamps and simple Copic® coloring techniques. 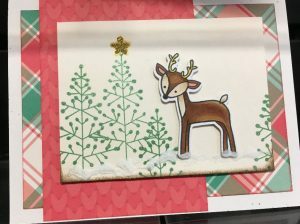 Get an early start on Christmas 2018 ($25). 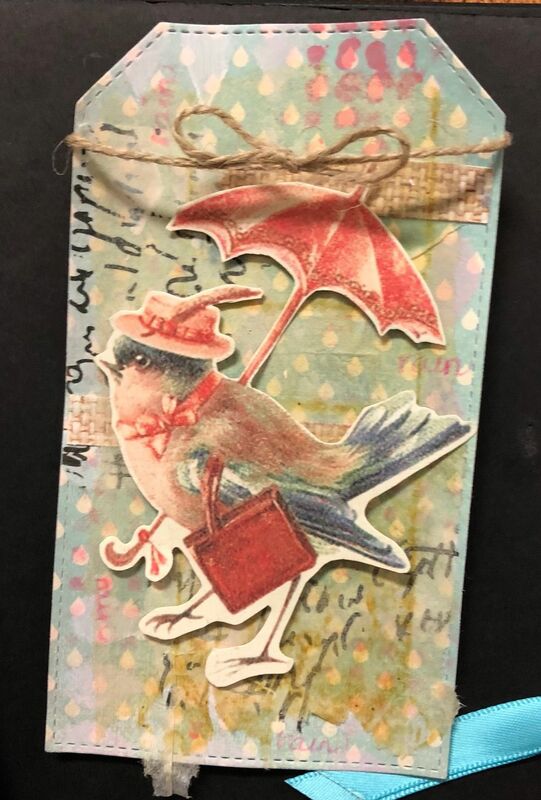 ← A word about classes — Dina Wakley, Kendra Krebs, Marianne Walker and more!